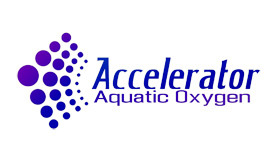 AquaKler Accelerator is used when a quick dissolved oxygen response is needed in lakes and ponds. Its rate of oxygen release is much quicker than the AquaKler. It can be used as an oxygenation agent during times of high stress or ponds that suffer from dangerously low oxygen levels. AquaKler Accelerator is a rapidly available oxygen-releasing agent. When it comes in contact with water, a large quantity of oxygen will be released; as a result, dissolved oxygen in water will also increase. When used in conjunction with AquaKler, this product can effectively reduce biological oxygen demand (BOD). AquaKler Accelerator can improve water quality, enhance the degradation of organics in water, and remove sulfides.